Welcome to the Good Life! 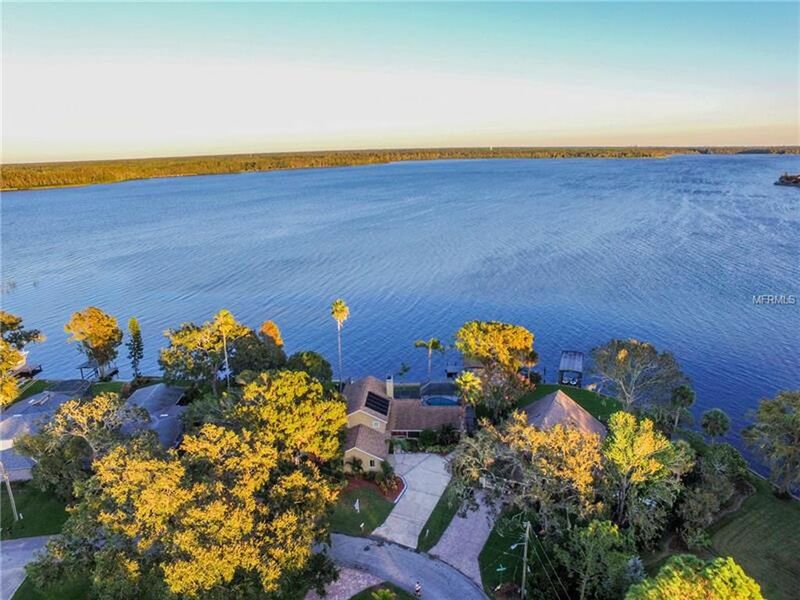 If you are looking for a place to fish, boat, water ski or relax, this is the one! 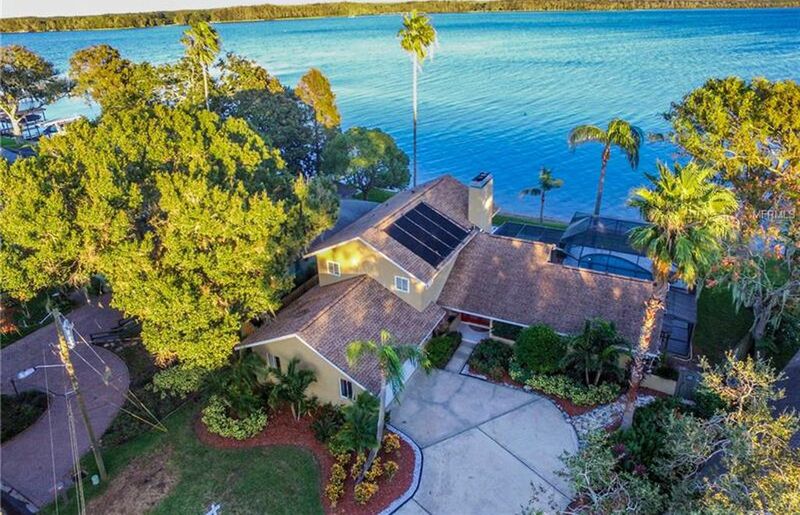 Waterfront Home with panoramic view on Lake Tarpon is located in the very desirable Lake Shore Estates community in Palm Harbor, Florida. 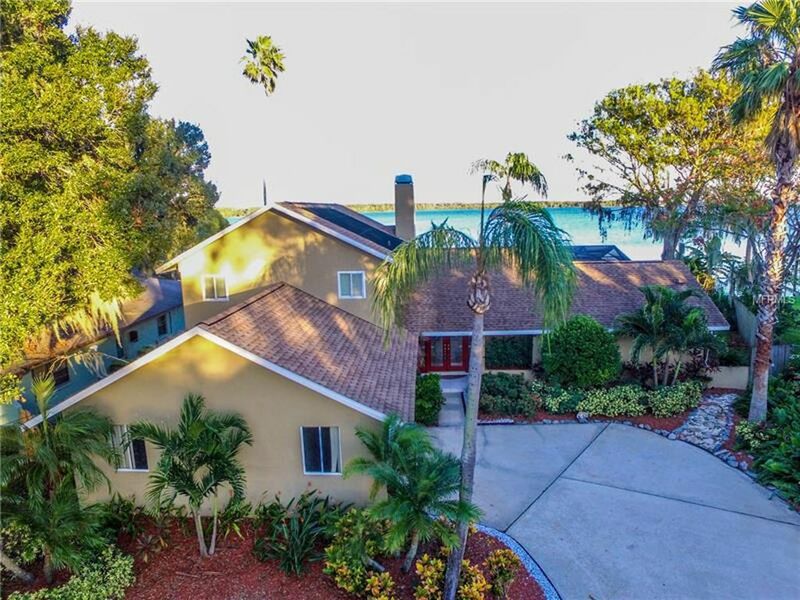 Having over 125 feet of unrestricted waterfront seawall ranks this home among the largest lakefront view homes in the area. 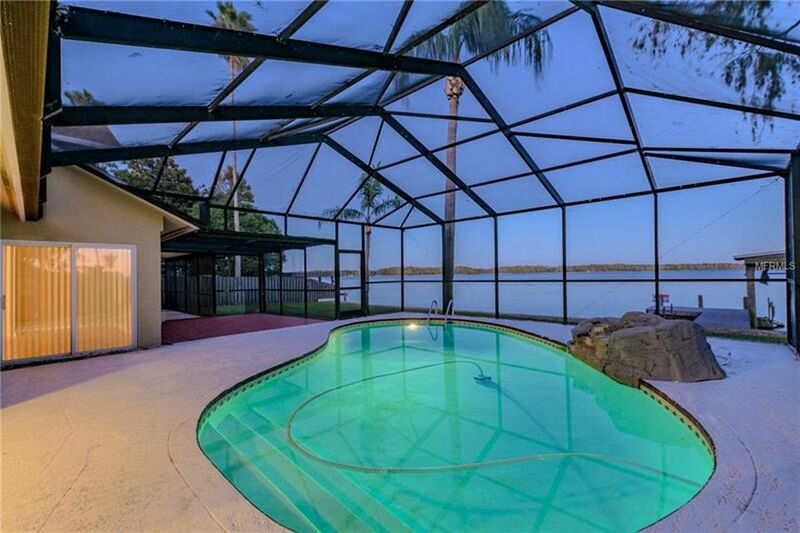 This home is one of only 4 Single Family Lakefront properties available on Lake Tarpon today. 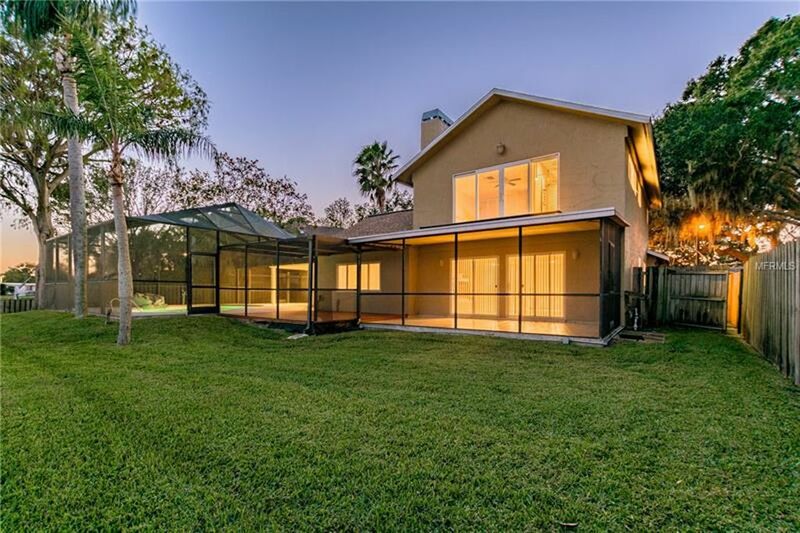 The entrance through the stunning double beveled glass doors is breath taking as you gaze directly onto Lake from every window of this spacious 2-story home. 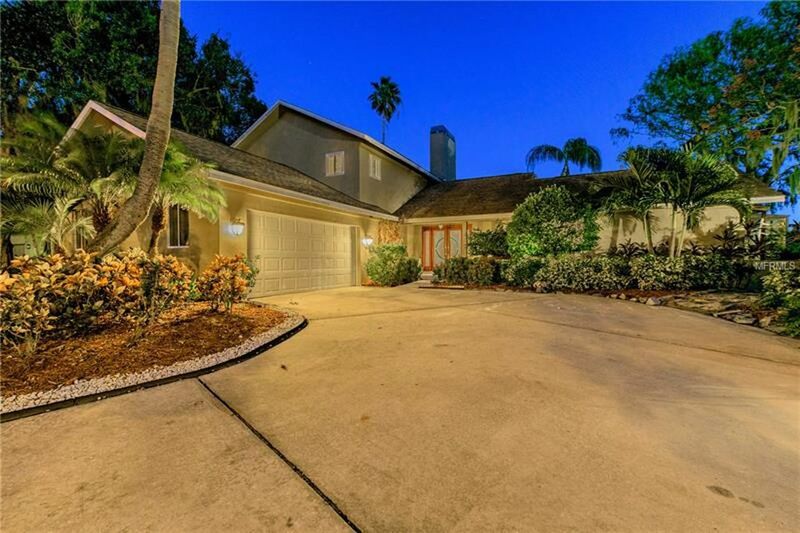 With an oversized family room, dining area, large open concept kitchen with customized high efficiency track lighting, 4 bedrooms, 3 full bathrooms, 2 wood burning fireplaces, 2-car garage, kidney shaped in-ground Salt Pool and covered Boat Dock, this home is unique and ideal for luxury living in the heart of Palm Harbor. 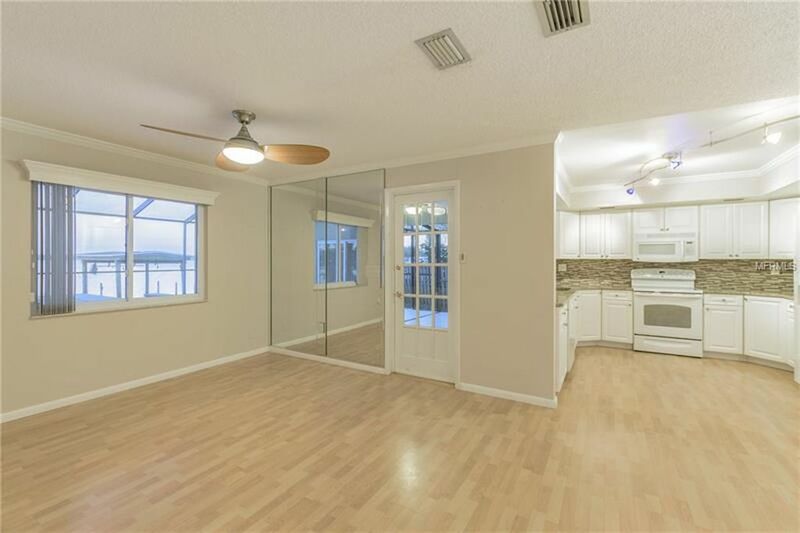 With over 3 sliding glass windows and 3 patio doors you can access the screened in patio, pool and then vast backyard for the water view anytime you desire. 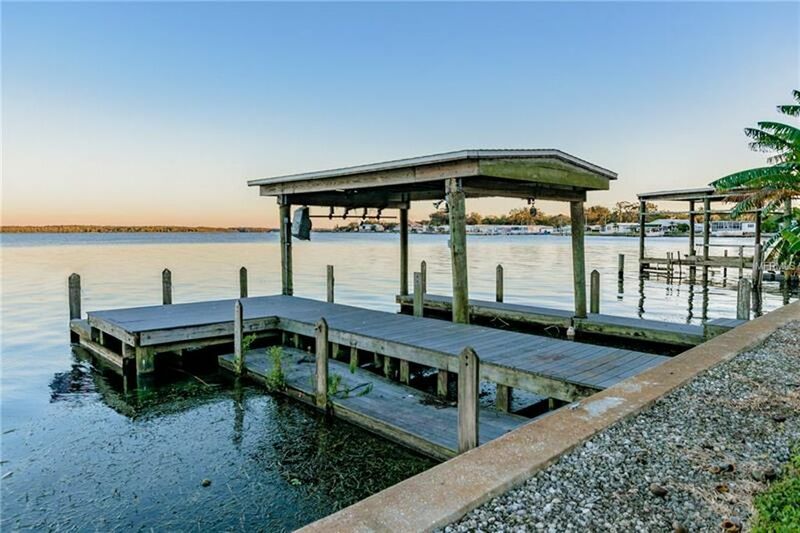 Cozy Waterfront home on Lake Tarpon on large 85×122 lot with seawall which includes views from almost every room. 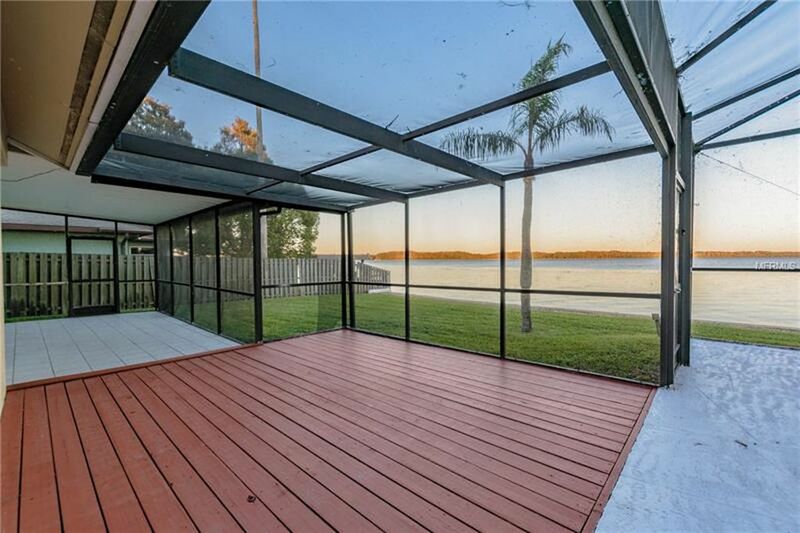 Large screened deck that faces your sweeping waterfront view. 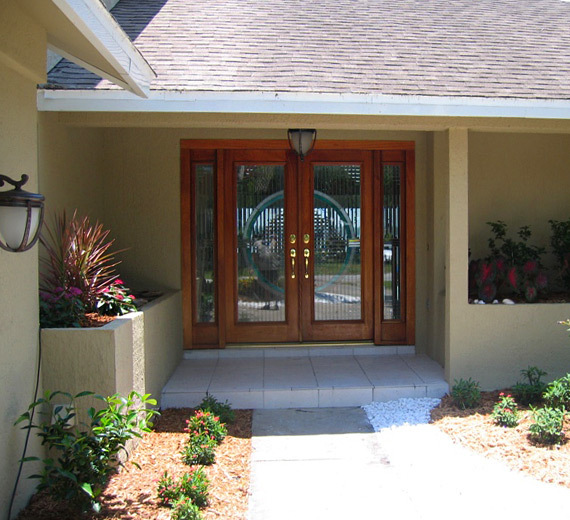 Professionally landscaped with easy to maintain exotic plants and trees provides a beautiful curb appeal unlike any in the area. 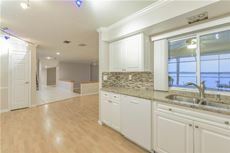 You can enjoy your salt water pool, with covered lanai and solar heating. The covered boat house can support up to 30ft boat in length with multiple tie offs for having 5 additional boats or jet ski safely secured. The dock has been upgraded with Forever Wood™ composite polymer paneling guaranteed for 20 years. Easy boat and jet ski launch allowing you to maximize your fun day of boating and water activities right from your own private backyard. 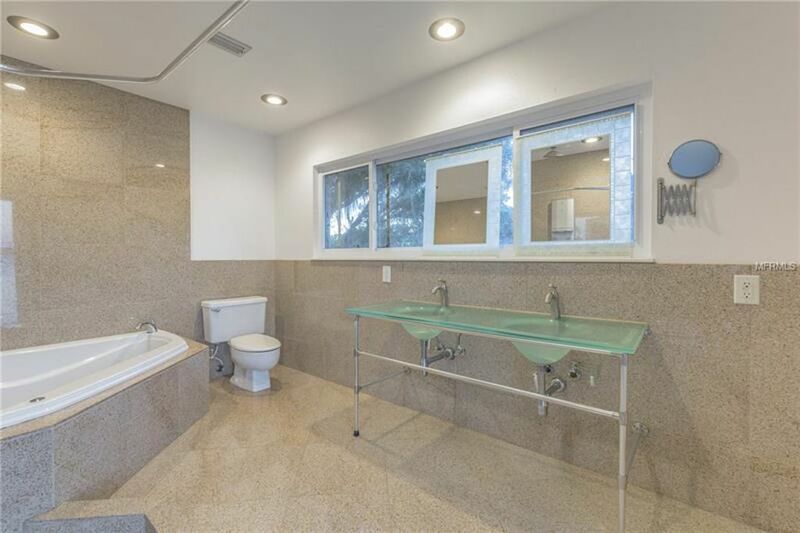 This is truly a quiet peaceful location with lots of privacy. 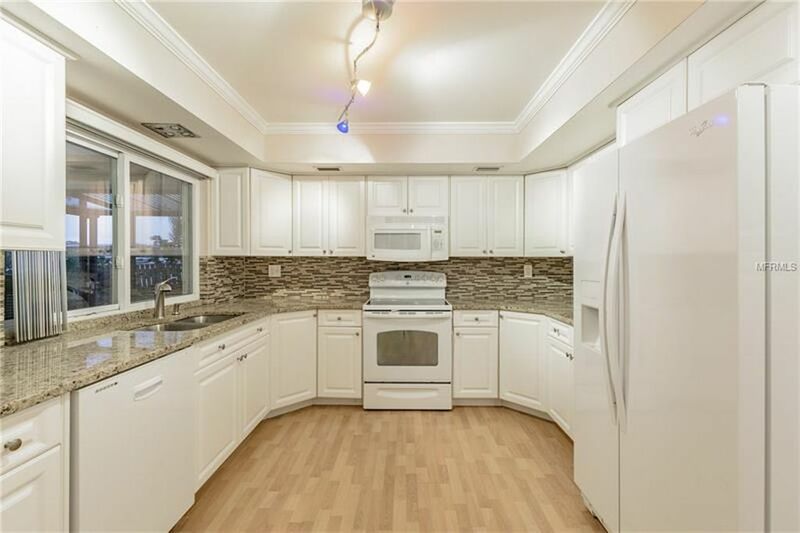 This comfortable 2-story home is equipped with 2 wood burning fire places, Dual A/C with new one installed in 2016 and heating units fitted with Hypo-Allergenic filters for a healthy dust and lint free environment. 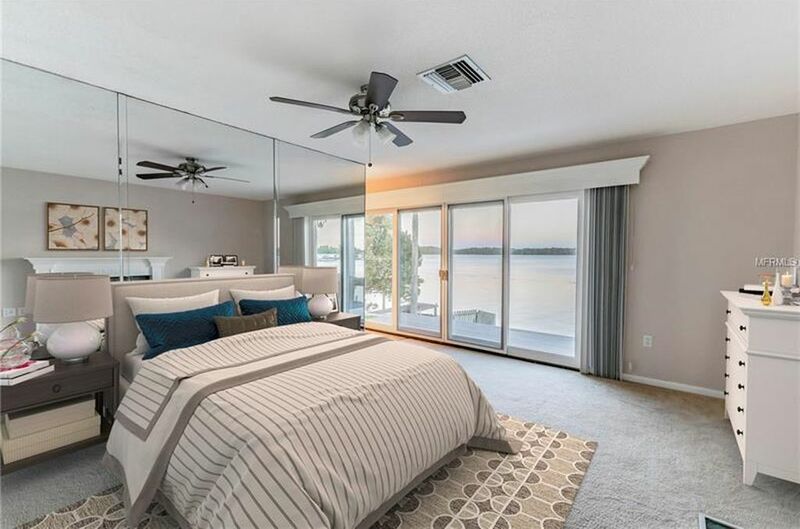 The upstairs master suite showcases a fireplace, remodeled granite bathroom with large tub, custom Rainfall and 6 Jet shower panel, dual solid glass vanities with waterfall faucets all of which are overlooking the breath taking waterfront balcony view. 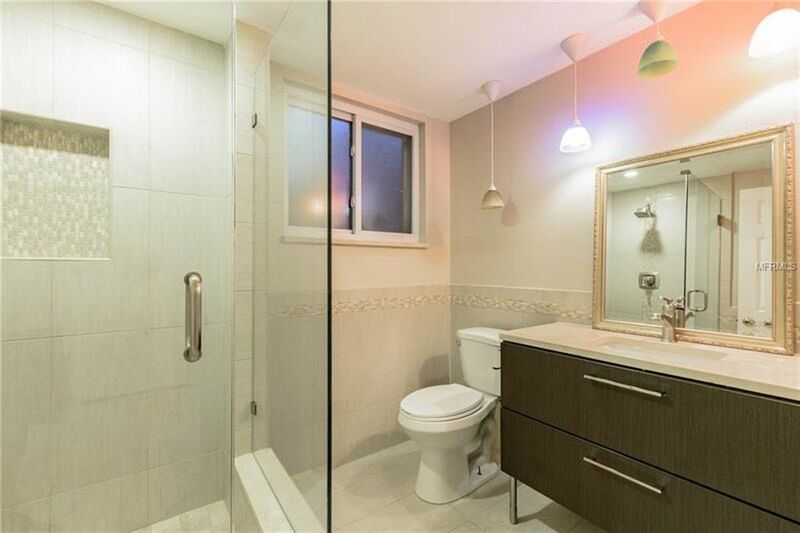 With 3 additional bedrooms and 2 additional full bathrooms throughout the home your guests and family members will have complete privacy. The home boosts a large laundry room loaded with extra storage. The garage can hold 2 large vehicles or SUV along with a complete workbench and still has enough room to store the motorcycle or other WC vehicles. 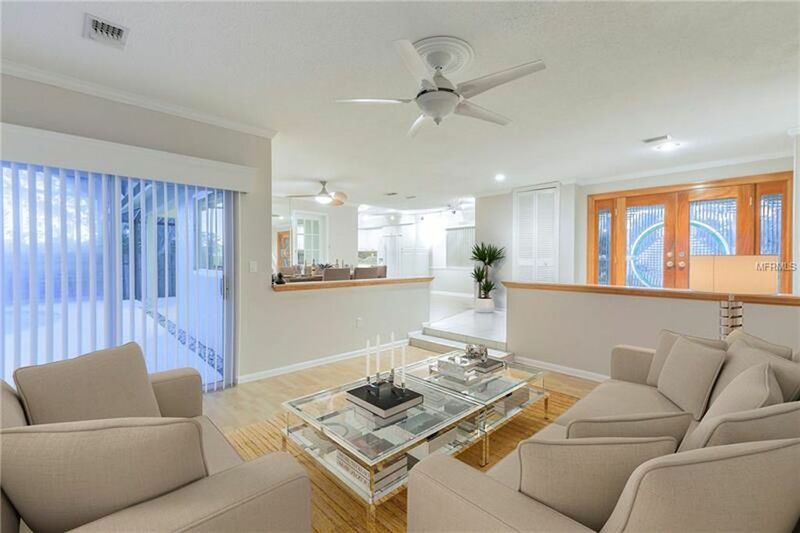 The open concept kitchen and dining, as well as the formal living room all open to the covered/screened in patio area with full water view from each window. 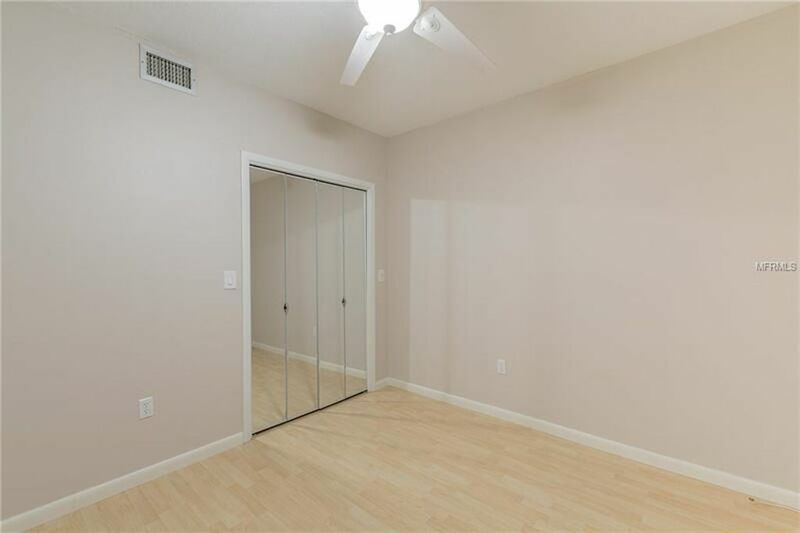 Newly painted and high-quality carpeting in the bedrooms in 2010 with Hardwood floors, New Hurricane Proof Roof 2013 with 20 years warranty, makes this home ready to move in. 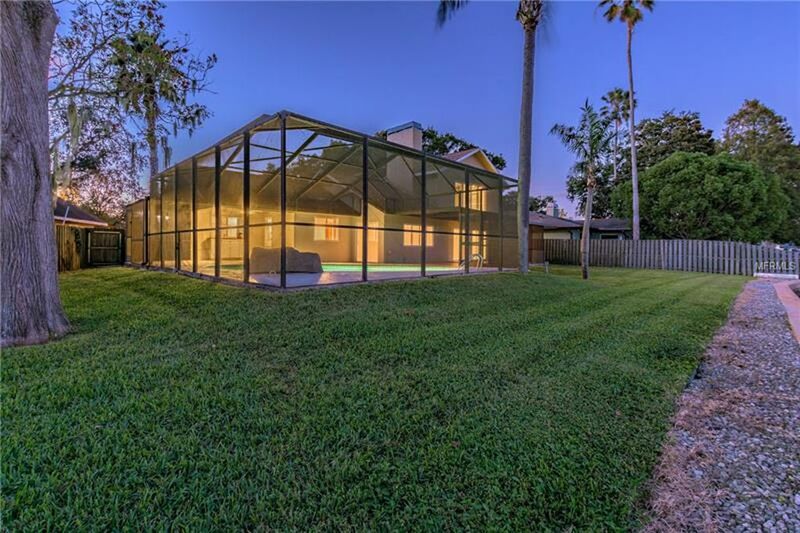 his Exquisite Waterfront home is located in the very desirable Lake Shore Estates community in Palm Harbor, Florida. 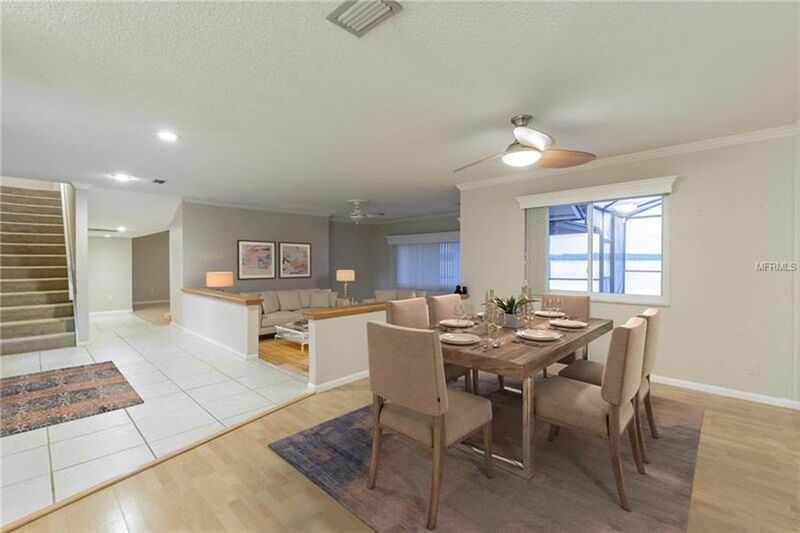 Within walking distance to major restaurants, Publix™, Super Wal-Mart™ and any other service imaginableless than 1 mile away you don’t have to go very far to get what you need. Avid golfers can enjoy a game onthe InnisBrook™ Golf Resort copperhead course home of the world class PGA tournaments less than1.5 miles away. 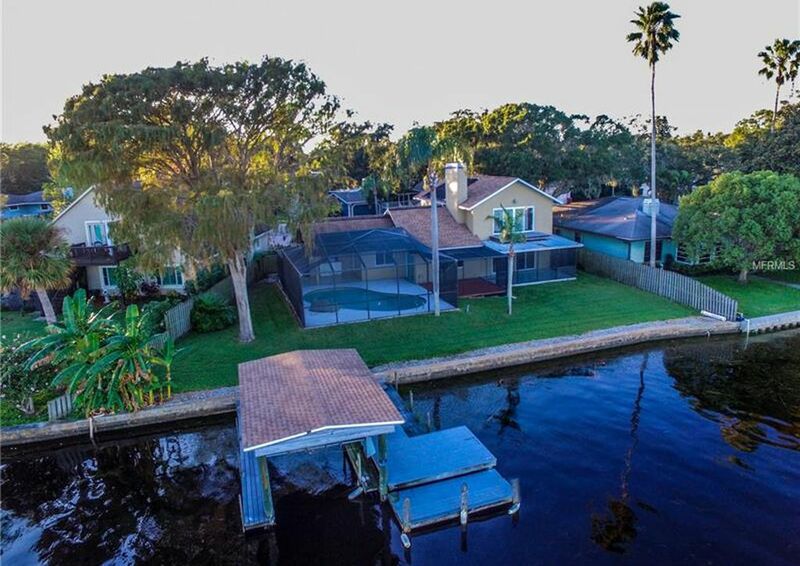 Close to the beach and County Parks, the largest water ski lake in Pinellas and Hillsborough counties at your backyard. 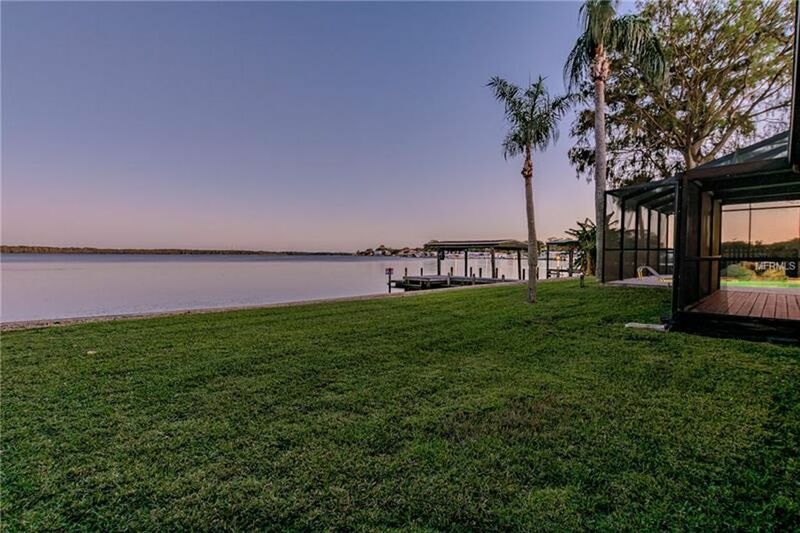 Lake Tarpon is famous for its freshwater fishing with plentifulstock added each year. Sailing clubs breeze on the quite lake enjoying the natural beauty of the surrounding. 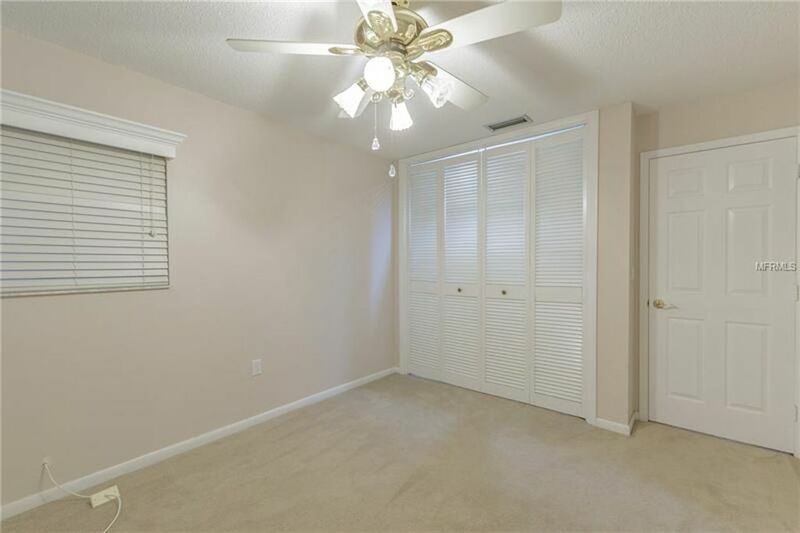 Only 20 minutes from Tampa International Airport. 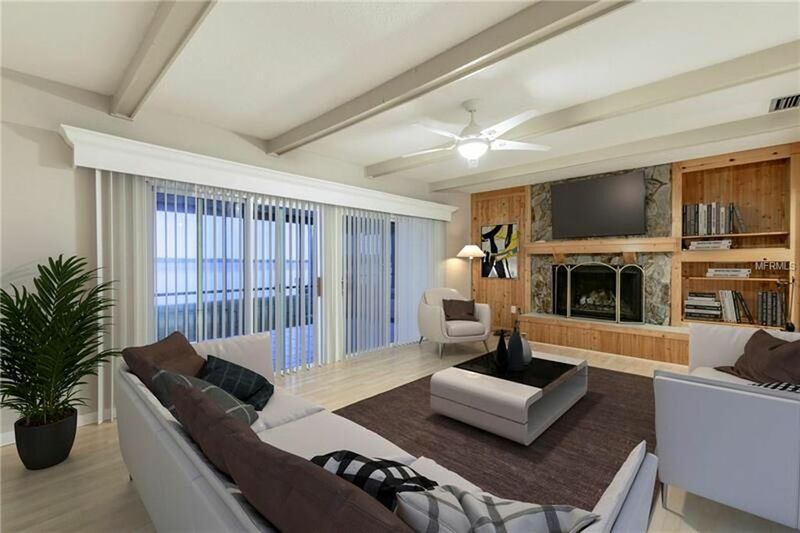 Homeowners also enjoy the use of the community private boat launch and clubhouse facilities and with only $25 annual HOA you can enjoy luxury living at its best!!! Best schools in Pinellas County!